You’ve heard of Traditional Chinese Medicine (TCM) and are probably a little familiar with the physiological benefits of acupuncture, but have you heard of meridian massage? Adapted from the ancient technique of guā shā, meridian massage fuses the TCM meridian theory used in acupuncture into Western esthetic techniques by massaging key meridian facial points along energy pathways using unique tools for increased circulation, younger-looking skin and overall wellness benefits. It can be incorporated into a spa’s facial services for a unique offering that delivers real results. For the face, meridian massage has been shown to improve circulation by 400% and smooth fascia and facial muscles, which lifts sagging facial contours and recontours the face. In addition, the improved circulation evens skin tone and texture to boost radiance. Meridian facial massage can even be thought of as a means of “exercising the face” since it increases oxygen uptake to help keep skin toned and healthy-looking. For younger skin types, benefits include reducing acne conditions, diminishing dark eye circles and providing a healthier glow. For mature skin types, recontouring treatments lift sagging skin, minimize fine lines restore a healthy glow and improve the skin’s natural ability to absorb. For the body, it has been shown to support natural detoxification and clear lymphatic pathways through the body—ultimately leading to an overall improvement in bodily health. The principles of meridian theory first appeared in a Chinese medical text dating from the third century B.C. and serve as the foundation of TCM. Meridian theory focuses on “qi,” known as “life energy,” which flows through 670 meridian points located along 20 major pathways. These “energy freeways” connect different parts of the body, from head to toe. 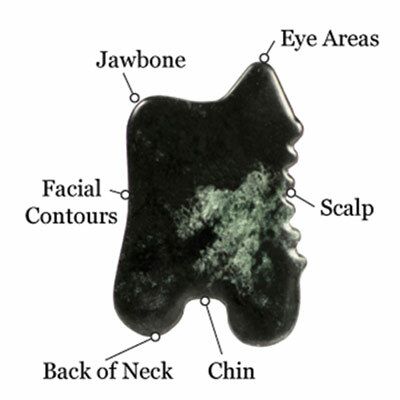 There are 60 meridian points on the face alone, each connecting with other parts of the body, including internal organs. 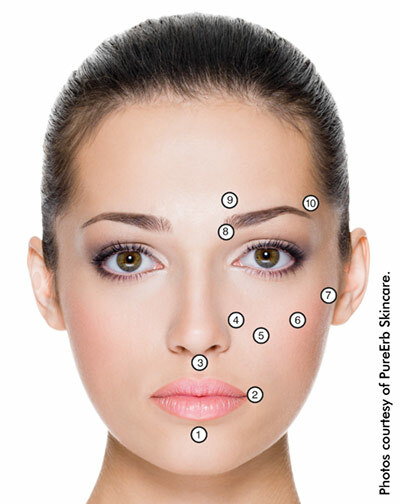 Of these, 10 primary facial points are fundamental to meridian facial massage. When pathways for the body’s natural flow of energy are obstructed, the body enters into a state of imbalance, stagnation or even disease. Massaging the body along meridian points and pathways detoxifies, clears and unblocks energy to restore a balanced, healthy qi flow. Three primary body systems—the muscular, circulatory and lymphatic systems—are activated through the process of meridian massage, benefiting the skin surface as well as underlying structures. Muscular system. Meridian massage smoothes wrinkles and folds in the underlying facial fascia, eases inflammation and reduces muscle tension. Circulatory System. Meridian massage has been proven to enhance microcirculation by 400%, clear stagnant blood flow and ease chronic inflammation. Lymphatic System. Meridian Massage improves lymph flow to help remove toxins, ease congestion, reduce swelling and relieve fatigue and stress. Using “tribo-effleurage” or “friction-stroking,” meridian massage includes specialized tools, which stroke the skin in the direction of the flow of blood and lymph, improving circulation, removing toxins, lifting sagging facial contours, minimizing fine lines and wrinkles, and improving radiance. Meridian facial massage leads to an overall sense of well-being, since meridian points and pathways on the face and scalp connect and communicate with vital organs and tissues. The facial skin even exhibits signs of either qi balance or qi blockage throughout the entire body. Meridian facial massage clears the flow of qi throughout the body, leading to an enhanced sense of overall well-being, in a single facial treatment. Until recently, TCM and meridian theory were largely overlooked by practitioners of Western medicine. However, the principles used in meridian massage are increasingly being researched and gaining traction among scientists and doctors. Growing numbers of recent scientific studies validate 3,000-year-old meridian theory. Research performed at Massachusetts General Hospital found meridian massage directly correlates to a decrease in inflammation.2 Moreover, acupuncture points located along meridian pathways have been mapped electronically, radioactively and thermally.3 An experienced and mindful licensed esthetician may actually feel these pathways while performing a meridian massage treatment. Often defined as a healing and energizing crystal, jade contains many beneficial minerals and trace elements such as iron, copper, manganese, cobalt, lithium and calcium. In meridian facial massage, the specially shaped jade tool serves as a non-invasive method of lifting and firming, improving circulation, discharging toxins and increasing the flow of energy. Dull, aging skin immediately appears radiant and healthier-looking. Other unique meridian tools include a crown made of celadon, a type of ceramic pottery originating in China with a specific color and glaze. This tool is a symbol of power, victory and universal energy. The gentle curves, scallops and smooth edges of these distinctive tools open up meridian channels to guide the flow of energy, while instantly easing tension, enhancing microcirculation, minimizing puffiness and lifting, firming and tightening the skin. There are two protocols that can be conducted as part of a meridian facial massage—a scalp massage and a facial massage, which are outlined step-by step. Meridian facial massage should begin at the scalp, known in TCM as the “governing vessel.” Scalp massage opens meridian channels throughout the body and immediately eases tension in the scalp and forehead, improves circulation and mental function, increases blood flow to hair follicles, and draws natural oils into the hair for a healthy-looking shine. Step 1. Use your fingers to rub scalp massage oil into skin along meridian lines, focusing on the occipital region and crown of the head and being careful to prevent oil from dripping and spreading to the eye areas. Step 2. Place the meridian massage tool on the center front meridian point (S1). 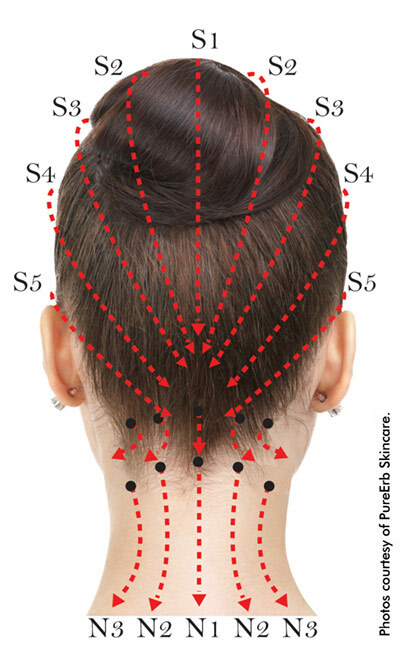 Press and release tool in an upward and outward motion along meridian pathways on scalp (S1 through S5). Repeat as needed. Step 3. 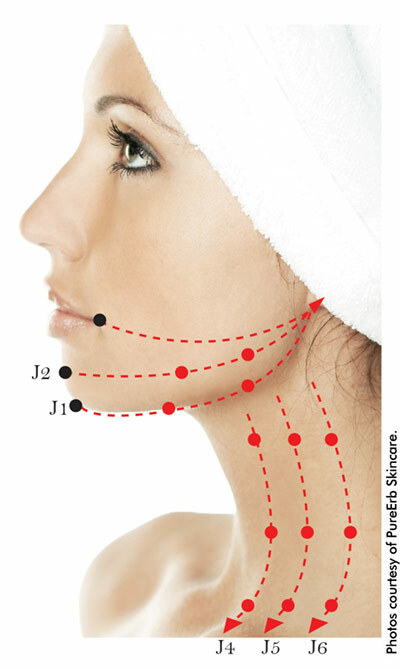 Press and release tool in an upward and outward motion along meridian pathways on neck (N1 through N4). Repeat as needed. Meridian facial massage starts at the scalp (“the governing vessel”), continues at the décolleté and the 10 primary meridian points on the face, and culminates by sweeping the toxins down the side of the neck. Step 1. Press scalp along Meridian pathways to release energy blockage. Step 2. Massage meridian scalp oil into skin along meridian pathways on scalp. Step 3. Press and release crown tool in an upward and outward direction along meridian pathways on scalp. Step 4. Cleanse facial area and pat dry. Step 5. Apply facial oil or facial balm to face, neck and décolleté. Step 6. Starting from each of the primary 10 meridian points on the face, use the crown or jade tool to perform slight strokes upward and outward. Step 7. Glide tool down the side of neck to sweep down toxins and clear energy flow. Step 8. Cover face, neck and décolleté with a warm towel. Remove. Step 9. Apply sheet mask. Meridian massage may be performed over mask. Remove mask. Step 10. Apply toner, serum, moisturizer and sun protection. Despite the trends that ebb and flow, the goals of facials remain consistent: clients desire relaxation and pampering as well as results-driven, customized treatments. 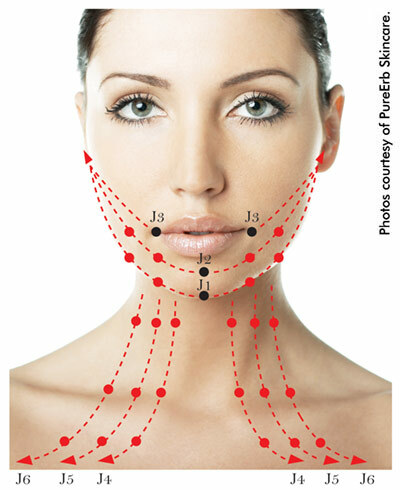 These goals can be attained through the merging of Eastern and Western facial modalities, which utilize techniques that are non-invasive and simple, yet highly effective and comprehensive. As wellness becomes a wide-spread growing trend, incorporating meridian techniques into existing facial menus offers a special niche for estheticians who desire to open doors to international healing and create one-of-a kind experiences for clients. Moreover, integrating meridian treatments into European facial massage techniques will intensify any range of services—without the need for surgical or invasive measures. 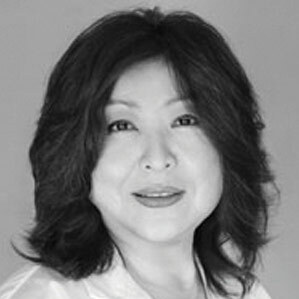 Janel Luu, founder of Le Mieux Cosmetics and PurErb Skincare & Aromatherapy, has over 30 years experience in the skin care industry as an international educator, skin care researcher and product developer. Her innate love for formulating and her expertise ranging from anti-aging cellular technology to the healing powers of herbology have inspired her to teach more than 35,000 skin care professionals and physicians.